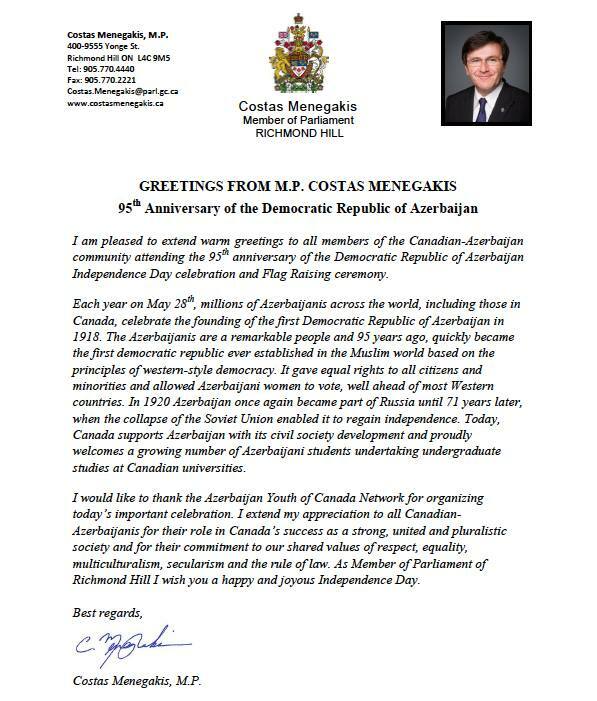 Member of Parliament from Richmond Hill Costas Menegakis congratulates on the 95th anniversary of the Azerbaijan Democratic Republic. 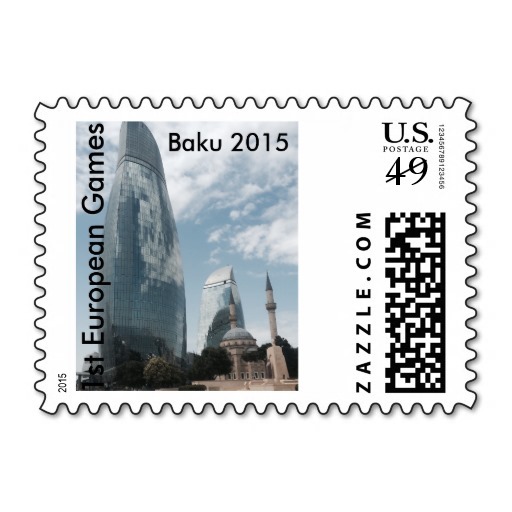 I am pleased to extend warm greetings to all members of the Canadian-Azerbaijan community attending the 95th anniversary of the Democratic Republic of Azerbaijan Independence Day Celebration and Flag Raising ceremony. I would like to thank the Azerbaijan Youth of Canada Network for organizing today’s important celebration. 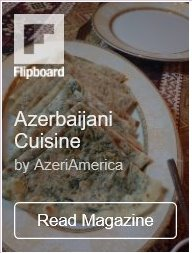 I extend my appreciation to all Canadian Azerbaijanis for their role in Canada’s success as a strong united pluralistic society and for their commitment to our shard valued of respect, equality, multiculturalism, secularism and the rule of the law. As Member of Parliament of Richmond Hill I wish you a happy and joyous Independence Day. MP Costas Menegakis says. 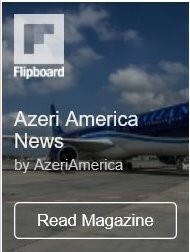 Enter your email address to follow Azeri America News and receive notifications of new posts by email.